London, 1749+. 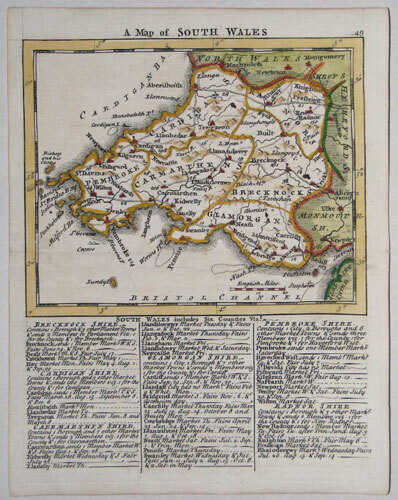 A miniature map of South Wales, engraved by either Thomas Kitchin or Thomas Jeffreys for the 'Small English Atlas', with three columns of engraved text detailing the major towns. London, 1834. A large and detailed map in bright original colour, with a vignette view of Bangor Cathedral. Printed on Whatman Turkey Mill paper, one of the best available at the time. London, Mount & Page, c.1760. Chart of Holyhead and northern Anglesea, orientated with north to the left. London, 1749+. 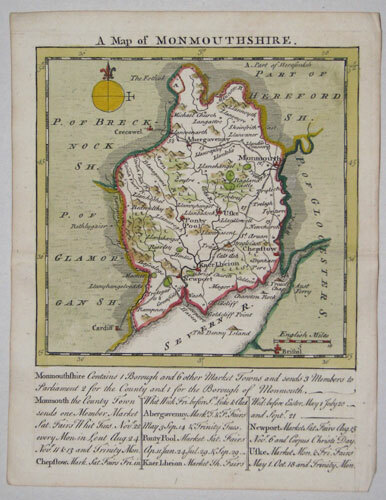 A miniature map of Monmouthshire, engraved by either Thomas Kitchin or Thomas Jeffreys for the 'Small English Atlas', with three columns of engraved text detailing the major towns. London, 1770. Plan and elevation of St Davids Cathedral, Pembrokeshire, dedicated to Charles Moss who served as Bishop of St David's from 1766-74 before moving to be bishop Bath & Wells. 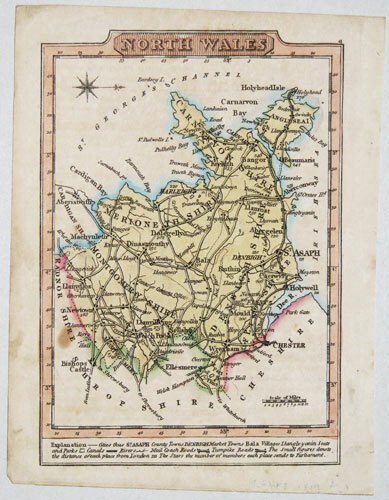 London: Grose, 1787. 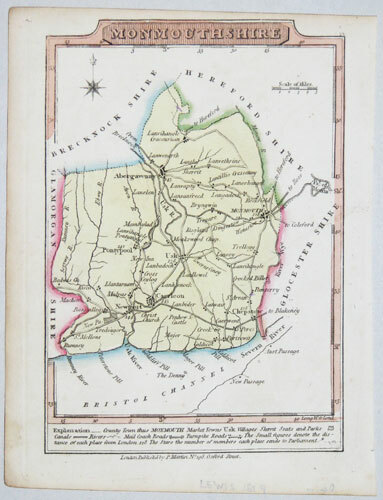 Map of Radnor, with text underneath and on verso.